Patients are seen by appointment only. We realize that children sometimes need immediate attention, we are happy to accommodate sick visits as soon as possible. We request a call to our office for scheduling. Parents or guardians (who are listed in the registration form) need to be present with the children while we provide care. We LOVE delivering quality pediatric and genetics care and enjoy the personal relationships we have with our patients and families. We must however recover charges for these services so we can continue to survive and thrive. This way we can continue to always “be there”, whenever you need us. Below is a list of our billing policies that will help us continue to deliver the highest quality medical care that you deserve. We accept most insurance carriers (Aetna, Amerigroup, Beech Street, Blue Cross Blue Shield, Core Source, Coventry, Cigna, Guardian, Meritain, Peachstate, Tricare, United Health, Wellcare). If you have any questions about coverage of your specific insurance carrier, please do call our office. Co-payments, coinsurances, deductibles, and any charges for non-insurance covered services must be paid at the time of service. If you are unable to provide us with proof of coverage, full payment of your visit will be necessary at the time service is rendered. If you do not have insurance or are on a plan in which we do not participate, full payment is required at the time of your visit. We will supply any necessary information for you to file your insurance claim. You may charge your balance to your credit card. We encourage families to authorize Pediatrics and Genetics to charge a credit card for balances that appear on their children’s accounts. Authorization forms are available by clicking here .Simply print the form out, fill in your information and mail it, fax it, or bring it with you to your next appointment. We must have updated confirmation of your insurance and identifying information at every visit. It is your responsibility to let us know of any changes in insurance data, addresses, telephone numbers, etc. and to assure your insurance policy registered with Pediatrics and Genetics remains updated and active. If balances not covered by insurance remain unpaid by you after 60 days notification, we may need to reschedule routine checkup appointments. Additional recovery fee of $12.25 will be added to your account balance due longer than 60 days. Delinquent accounts may also be subject to collection fees. We may charge a nominal fee of $20 for completing complex forms. Our staff will advise you of this if this is the case with any request you make. Please call / email us 24 hours in advance if unable to keep your appointment. No Shows and same day Cancellations will be billed $25 to discourage disruption of patient care in the clinic. If you are 15 minutes late for your appointment, our staff will ask the doctor to help determine when best to see your child. You may be worked into the schedule with a wait, you may be given the next available appointment, or you may be asked to reschedule. This will help us balance the needs of all of our patients. Walk-in patients will also be asked to wait for the next available appointment, except in the case of an emergency. This form provides patient and insurance information. New patients are requested to complete this form and bring it for your first visit. This will expedite processing. An addendum to Patient Registration, this form acknowledges clinic financial policies. Request release of medical records into our clinic. For patients transferring from other practices to our clinic. 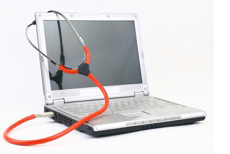 Request release of medical records to another physician or clinic. Please use this for Physicians or Providers that would like to refer patients to our clinic. For referrals, please complete the Referral Form and advise the referring physician that our office will be contacting them.